Blowout Sale! Free Shipping Included! Save 62% on the Video Lights Tolifo PT-15B-II Kit Bi-color Metal LED Video Light for Studio, YouTube, Product Photography, Video Shooting,2.4G Wireless Remote Control,Slim, Ultra Bright Light by TOLIFO at Come As You Arts. MPN: PT-15B-II-KITmini. Hurry! Limited time offer. Offer valid only while supplies last. 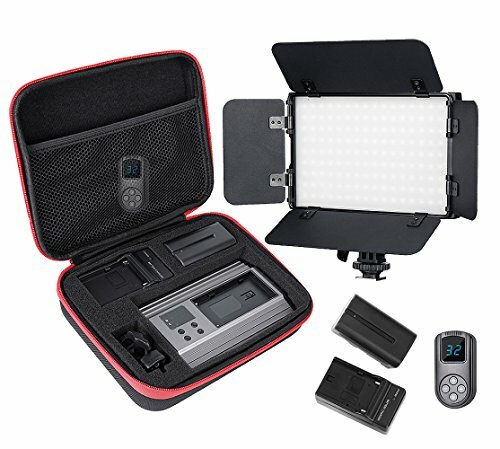 PT-15B-II Lighting Panel Easily identifiable and ergonomic manual controls for dimming, color, and power status is perfect for remote locations, documentary, cinematography, product reviews, bloggers, youtube video. With LCD Digital Display Screen，Variable Color Temperature & Dimming and that allows you to vary the color temperature of the unit from 3200 to 5600K.brightness range of 10 to 100%. Compatible with Canon, Nikon, Pentax, Panasonic, Sony, Samsung, Olympus and other digital DSLR cameras. If you have any questions about this product by TOLIFO, contact us by completing and submitting the form below. If you are looking for a specif part number, please include it with your message.